If the weather’s even slightly sunny, children in the back of a car are going to become hot and bothered in roughly the same time it takes clouds to part. So if your car doesn’t have tinted rear windows or sunblinds, invest in a pair. The most effective and versatile I’ve tested are from Outlook, made by Aussies, who know a thing or two about sun protection. Find them on Amazon. 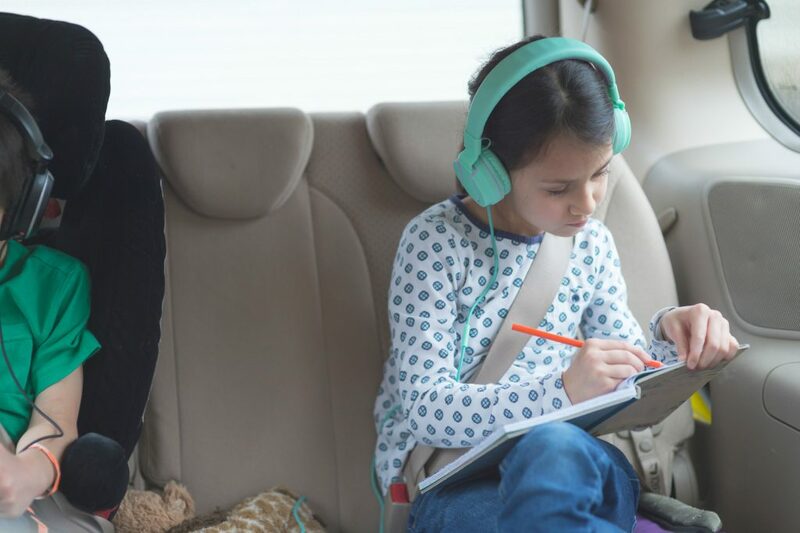 When embarking on a marathon car journey, the list of things mums and dads should never leave home without could probably fill an encyclopedia. From favourite blankets to teddies, nappies to dummies, snacks to cold drinks; there will always be something you’ll forget. To avoid this, write a list and pack the day before. That way, you’ll allow time for your weary brain to remember what it was you told yourself not to forget to pack in little Johnnie’s Trunki travel case. 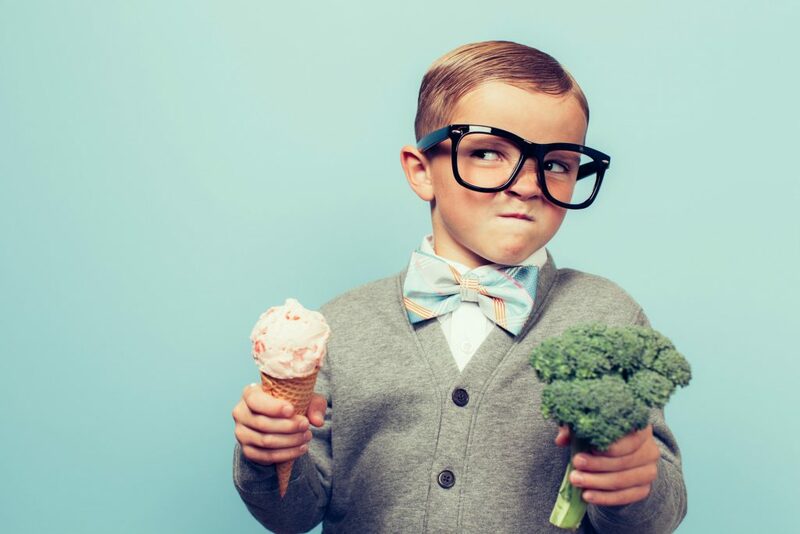 There’s a time and a place for being a strict parent and enforcing the eat-your-greens rule. Spending hours in the confines of a cramped box on wheels is not the moment to introduce the kids to the antioxidant benefits of goji berries. So cut them some slack, pack big bottles of water or squash and let them munch on snacks of their choice. 4. Who hasn’t been to the loo? The only thing guaranteed to spoil a car journey more than bored children is kids bursting for a ‘comfort break’. And rest assured, the moment before you start the engine and ask if everyone’s been to the loo, someone will be fibbing when they say they went. Now is the time to call them out and send them back indoors, before strapping them into the car for a drive from one end of Britain to the other. Movies, games, apps, audio books, music – all these and more can help make a long journey pass painlessly. When Auto Express compared eight portable DVD players, it found Philips and Nextbase models to be the most impressive. As for tablets and smartphones, treat the kids to a new movie or two, or apps. They don’t have to be the latest blockbuster; try the special offers section and download a classic for 99p. For audio books, browse Apple’s iTunes store, Audible on Amazon and Google Play. Children may threaten to report their parents to social services for daring to suggest that they give the gadget a break for a while, but be strong and persevere: they may enjoy a traditional guessing game. I Spy is an obvious one, and a memory game, such as I Went To The Supermarket… is another. For kids of a certain school age, you could use the opportunity to practice times tables – taking turns to set sums and awarding a prize to whoever first answers the most questions correctly. What could be more fun than defacing photos of the family? Order a roll of laminating film and dry-erase (non-permanent) marker pens. Then print a selection of photos and then cover them in plastic film. The children can have fun drawing dad a nose that Gérard Depardieu would be envious of. Why not just have a good old-fashioned family chinwag? Seeing as you’ve got plenty of spare time, let the kids ask the questions and have an honest, open family discussion about whatever takes their fancy. Got a great suggestion for keeping kids entertained in the car? Share it in the comments, below.